Los Angeles (CA) – On October 23, 2018 East Los Angeles College Foundation (ELACF) in partnership with ELAC’s Academic Senate and Social Sciences Department hosted a special speakers panel and signing for the book: Power Shift: How Latinos in California Transformed Politics in America with authors George L. Pla and David R Ayón. Panelists included: former the Honorable Antonio Villaraigosa, the Honorable Richard Polanco, the Honorable Richard Alatorre, the Honorable Esteban Torres, the Honorable Gloria Molina, California State Senate candidate Maria Elena Durazo, and Los Angles City Councilmember Gil Cedillo. “We are incredibly proud to host alumnus George L. Pla’s first college book signing. The political movement described in this book is rooted in the communities we serve and functions as inspiration for our students,” said Marvin Martinez, President of East Los Angeles College. Power Shift charts the rise of Latino political power and its impact, from the breakthrough election of the first Mexican American to the Los Angeles City Council in 1949 to today’s leadership of California and its heavyweight role in polarized America. This inspiring story recounts the origins and development of ten LA-based Latino and Latina leaders who transformed politics and government, forging a progressive political tradition in the process. Seven of those leaders joined authors Pla and Ayón on stage to discuss their stories with ELAC students. Hundreds of ELAC students, staff, and faculty attended the event to hear from historic leaders who are rooted in East LA and whose influence spans the state and the country. Moderated by Dr. Marcel Morales, Department Chair of Social Sciences, the panelists were asked questions prepared by ELAC students. “We are very appreciative of the authors and all the panelists that joined us today. 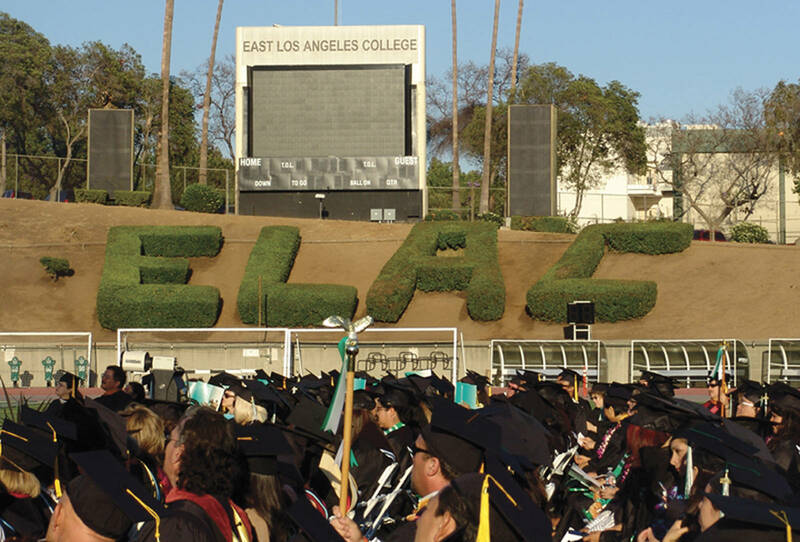 Their story is one of transformation, which we at ELAC aspire to do every day,” said Paul De La Cerda, ELAC’s Dean of Resource, Economic Development & Innovation and Executive Director of the ELAC Foundation.